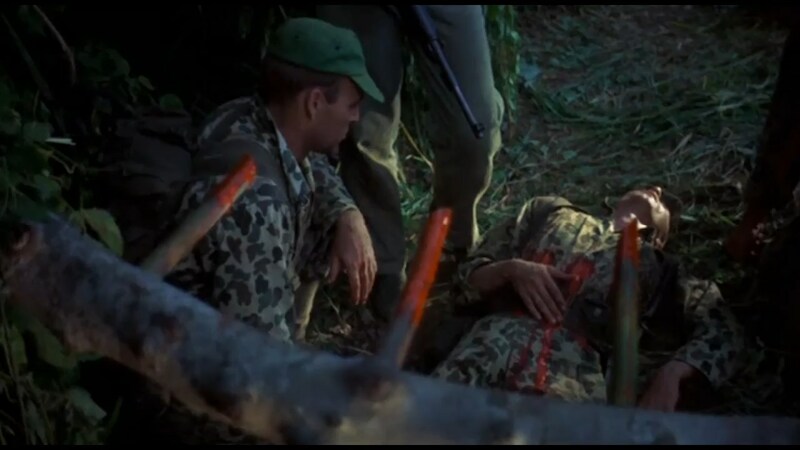 AMBUSH BAY is a tough little 1966 WW2 flick for fans of same. It has nine Marines landing in The Philippines a few days before MacArthur’s 1944 return/invasion. There is a spy to be contacted and a work of sabotage to be conducted: tried and true material (some will say tired & tepid if they don’t like this kind of business), hardly fresh, but done with a minimum of bull, handled well in all departments. 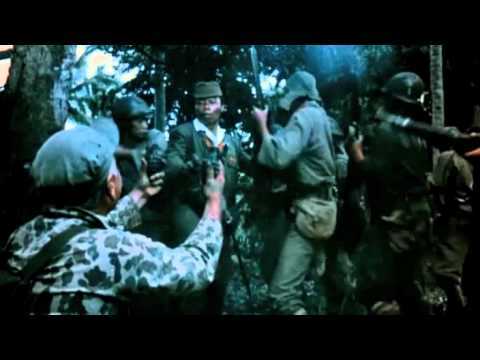 Except for the green radioman (James Mitchum) all these Leathernecks are experts in various deadly skills, and lots of furious skirmishing—bloody but not gratuitous—ignites as they trek through jungles and encounter the Japanese. 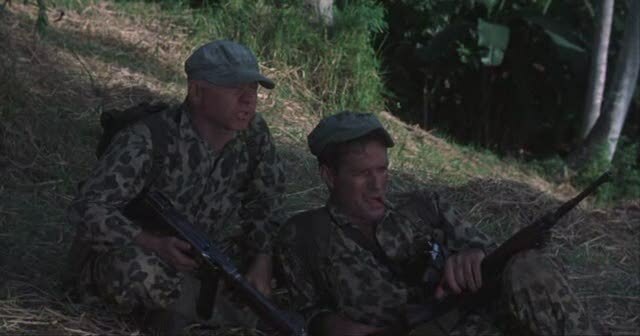 Hugh O’Brian and Mickey Rooney are credibly rugged, Mitchum not bad, unsung character actor Harry Lauter is on hand and Tisa Chang, as the spy, is exotic as tradition would have it. Sound effects are excellent, the color is sharp and Ron Winston’s direction keeps everything lean, doing as much as the budget allows to wring armchair catharsis out of what could put you into a nap if done poorly. Giving the 109 minute mission its most atmospheric stamp is the beautiful location photography of jungles, streams and beaches by Emanuel Rojas; vibrant, lush and inviting exploration (though maybe not in wartime). 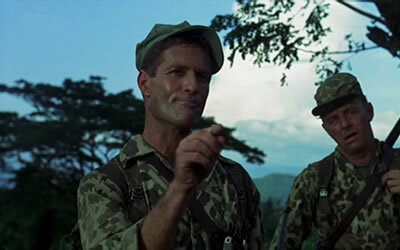 Richard La Salle provides a fine understated music score which does as much to convey a tropical aura as the soundtrack Malcomb Arnold composed for The Bridge On The River Kwai. It does feel a bit borrowed, minus the famous marching tune. With Pete Masterson, Buff Hernandez and Jim Anauo. It was a more-than-difficult shoot for Rooney, as he came down with a fever (malaria?) requiring hospitalization, and then learned that back in the States, his wife had been murdered by her lover in a homicide-suicide scenario.